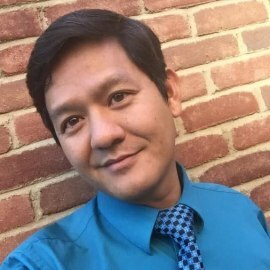 Vu Le is the author of the blog nonprofitaf.com and the forthcoming book, Unicorns Unite: How Foundations and Nonprofits can Build Epic Partnerships, written in collaboration with Jane Leu and Jessamyn Shams-Lau. He is the Executive Director of Seattle-based nonprofit Rainier Valley Corps, which has the mission of tackling systemic injustice by developing leaders of color, strengthening organizations led by communities of color, and fostering collaborations between diverse communities. He loves nonprofit work, has extensive experience in all aspects of it after nearly a decade of being an executive director, and thinks nonprofit professionals are amazing and brilliant and good-looking. Outside of work, Vu watches way too much TV--Game of Thrones, Walking Dead, Archer, Golden Girls, stop judging--and spends time with his wife and two small children, ages 4.5 and 1.5 years old.